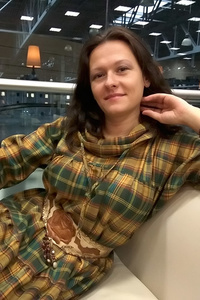 Meet Amazing Girl Alina from Moscow, Russia, 37 y.o. Seeking A guy 32-42 y.o. 1. Freedom and ease of communication. 3. Fidelity. (This is not only a guarantee of physical purity, but mental tranquility. If you don't agree, but throw a pity - let\'s not spoil each other's karma.) I important psychological comfort beside my partner, no matter how You are awesome beautiful, wonderful, charming, but I'm not comfortable being with you, then we part and I tell You about this directly and honestly.